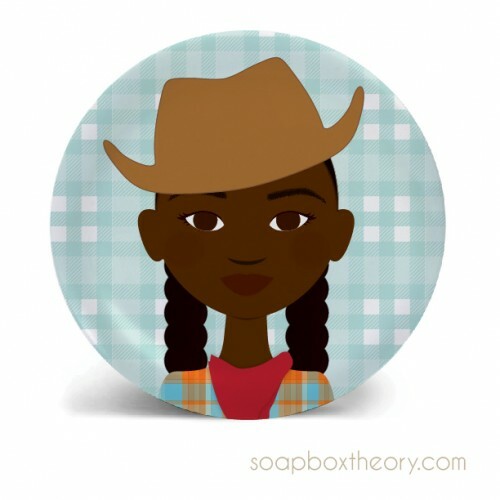 With her cowboy hat, big brown eyes, and classic western shirt, this young lady is ready to add some action and inspiration to any meal. These 8 inches melamine plates are non-toxic, dishwasher safe and break resistant. Limited stock. Please allow 2-3 weeks for delivery.